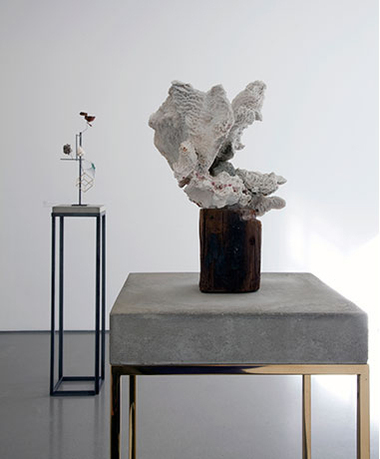 View of Carol Bove/Carlo Scarpa at Henry Moore Institute, gallery 2: Carlo Scarpa, Contafili (1968), steel, precious stones, gold; Carol Bove, Cretaceous (2014), petrified wood, steel; Carol Bove, For Asta (2014), steel; Carlo Scarpa, Asta (1968), steel, burnished copper, bronze; Carlo Scarpa, Crescita (1968), steel, gold leaf. 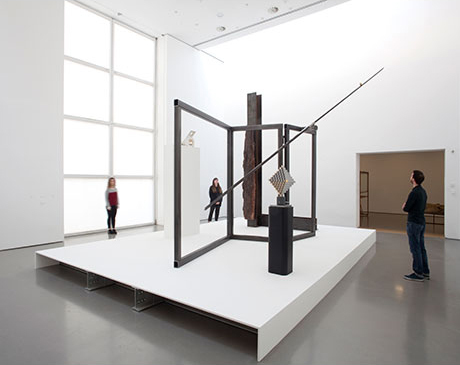 Carol Bove works courtesy of the artist and Maccarone, New York and David Zwirner, New York / London. Carlo Scarpa works courtesy Museo delle Rarità Carlo Scarpa - Castello di Monselice. Photo: Jerry Hardman-Jones. Although of different generations, training, and disciplines, Carol Bove (b. 1971) and Carlo Scarpa (1906–1978) are bound by concerns with the object and its environment, the encounter with sculpture, and the ways that objects are given meaning. Centered around themes of display, the case study, and experimentation, this exhibition explores Bove and Scarpa's distinct artistic vocabularies, as well as their treatment of materials and approaches to providing environments and supports for artworks and objects. 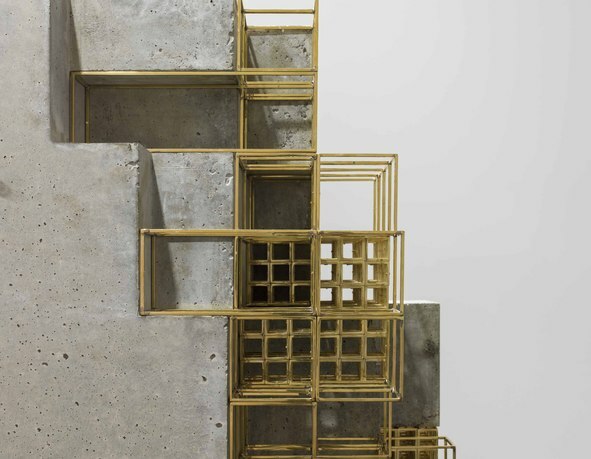 Carol Bove/Carlo Scarpa includes works seen for the first time in the UK and grounds the work of these two artists within the study of sculpture. The accompanying publication addresses an English-language gap in scholarship on Scarpa's engagement with sculpture, sheds new light on the history of display and exhibition design, and establishes Bove's practice as crucial to sculptural concerns today. 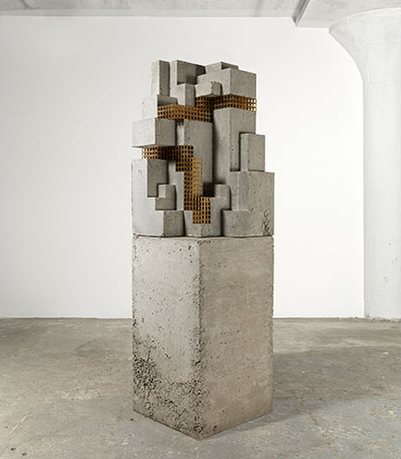 Carol Bove was raised in Berkeley, California, and studied at New York University. Her recent solo exhibitions include Carol Bove: The Equinox, the Museum of Modern Art, New York; Caterpillar, High Line at the Rail Yards, New York (both 2013); Prix Lafayette 2009: Carol Bove; La traversée difficile, Palais de Tokyo, Paris (2010); and Plants and Mammals, Horticultural Society of New York (2009). 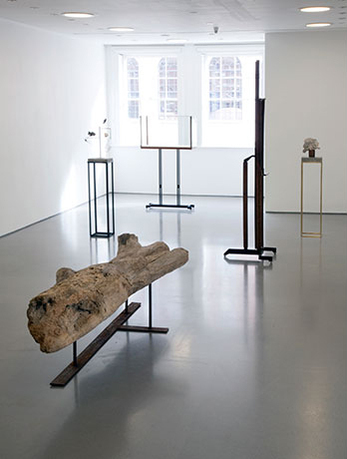 Bove's work was featured in documenta 13, Kassel (2012); other recent group exhibitions include In the Holocene, MIT List Visual Arts Center, Cambridge, Massachusetts (2012); the 54th Venice Biennale; The Age of Aquarius at the Renaissance Society at the University of Chicago; and Frauenzimmer at Museum Morsbroich (all 2011). Her work is corepresented by David Zwirner, in partnership with Maccarone, New York. Carlo Scarpa is widely recognized as one of the most important architects of the twentieth century. Scarpa attended the Royal Academy of Fine Art in Venice, where he began teaching in 1926. Aside from private and residential commissions, Scarpa is renowned for radically renovating and redesigning key municipal museums across Italy, including the Accademia and the Correr Museum in Venice (1952–56), Palazzo Abatellis in Palermo (1953–54), and the Museo di Castelvecchio in Verona (1958–64). Less known, but equally important, were his designs for temporary exhibitions and displays, such as the exhibition of Piet Mondrian's work at the Galleria Nazionale d'arte Moderna, Rome (1956) and Frescoes from Florence at the Hayward Gallery, London (1969). Employing colorful backgrounds for sculptures and using textiles to diffuse and manipulate light, Scarpa's novel display techniques subverted distinctions between architecture, exhibition design, and sculpture. Pavel S. Pyś has been the exhibitions and displays curator at the Henry Moore Institute since 2011. He holds an MFA in curating (Goldsmiths College) and MS in culture and society (London School of Economics and Political Science). In 2011, Pyś was the winner of the inaugural Zabludowicz Collection Curatorial Open and was also one of the three curators-in-residence at the Fondazione Sandretto Re Rebaudengo, Turin. Pyś has recently written monographic essays on the work of Michael Dean and Fredrik Værslev, and frequently contributes to Frieze, MOUSSE, and artforum.com. Lisa Le Feuvre has been head of sculpture studies at the Henry Moore Institute since November 2010. 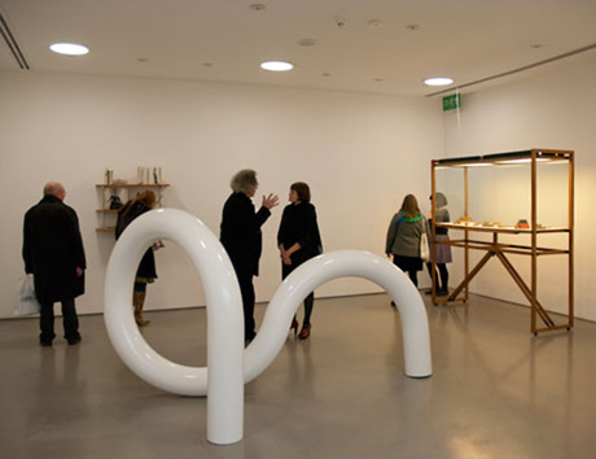 In 2010–11, Le Feuvre was cocurator, with Tom Morton, of British Art Show 7: In the Days of the Comet. Between 2004 and 2010, she taught in the postgraduate Curatorial Program in the Department of Art at Goldsmiths, University of London. From 2005 to 2009, she directed the Contemporary Art Program at the National Maritime Museum. Le Feuvre's other curatorial projects have been staged in spaces across the UK, including the CCA (Glasgow), the Photographers' Gallery (London), MOT (London), Stills (Edinburgh), and Arts Council England (London). Le Feuvre regularly contributes to journals, publications, and exhibition catalogues, including the 2010 edited publication Failure, published by Whitechapel Art Gallery/MIT Press. The Henry Moore Institute is a world-recognized center for the study of sculpture in the heart of Leeds. An award-winning exhibitions venue, research center, library, and sculpture archive, the Institute hosts a year-round program of exhibitions, conferences, and lectures, as well as developing research, collections, and publications to expand the understanding and scholarship of historical and contemporary sculpture. The Institute is a part of the Henry Moore Foundation, which was set up by Moore in 1977 to encourage appreciation of the visual arts, especially sculpture.